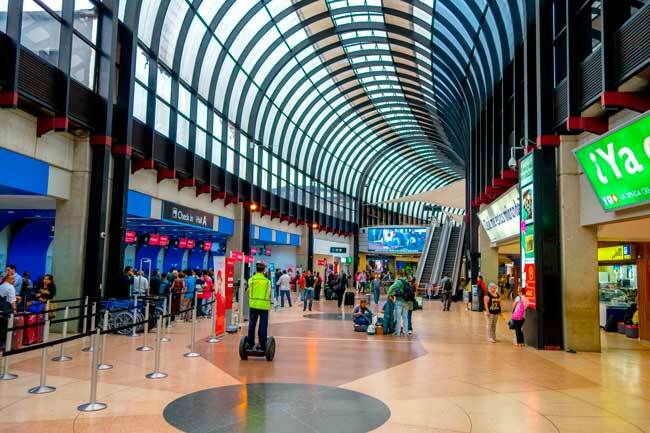 Use this website to quickly find the most important information about Medellin Jose Maria Cordova International Airport: Flights, Departures, Arrivals, Parking, Car Rentals, Hotels near the airport and other information about Medellin Airport. Plan your travel to MDE Airport with the information provided in this site. Medellin Airport is the second busiest airport in Colombia. Medellin Airport registered a total flow of 8,004,887 passengers in 2018. Medellin is capital city of the department of Antioquia and the second largest city in Colombia. The Basilica of Our Lady of Candelaria is one of the main landmarks in Medellin. Bandeja Paisa is the typical dish of the Paisa culture, which is composed by eggs, avocado, beans, salad, meat and tortitas. 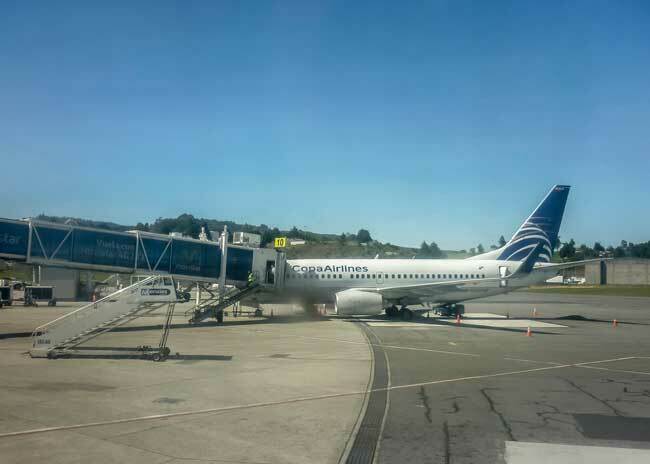 Medellin Jose Maria Cordova International Airport (IATA: MDE, ICAO: SKRG), formerly known as Rionegro Airport, is the second busiest passenger airport in Colombia after El Dorado International Airport of Bogotá and the main airport in western Colombia. It is located in Rionegro, at 29 km of the city of Medellin. It is the main hub for the low-cost carrier Viva Colombia. Medellin Airport is the second busiest airport in Colombia. About the name: The airport is named after Jose Maria Cordova, who played an important role in the Colombian Armed Forces so as in the history of Colombia. Top 10 international destinations from Medellin Airport are Panamá, Miami, Fort Lauderdale, Madrid, New York, Lima, Mexico City, Atlanta and Panama City-Balboa. Medellin Airport registered a total flow of 8,036,411 passengers in 2018. Medellin Airport has a three level passenger terminal, which serves both domestic and international flights into two separated areas from east to west. It has a round shaped structure. - 1st level: The Arrivals Hall. - 2nd level: The Departures Hall. - 3rd level: The Food Court. Medellín is the capital city of the department of Antioquia and the second largest city in Colombia, with a total population of 2,508,000 inhabitants. 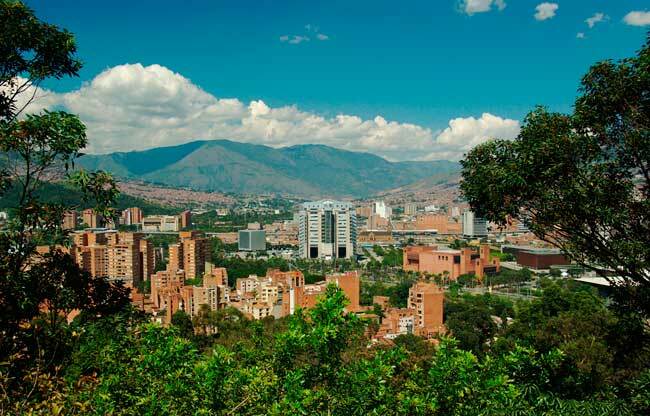 The city of Medellín lies within the Aburrá valley at 1,500 metres of elevation. 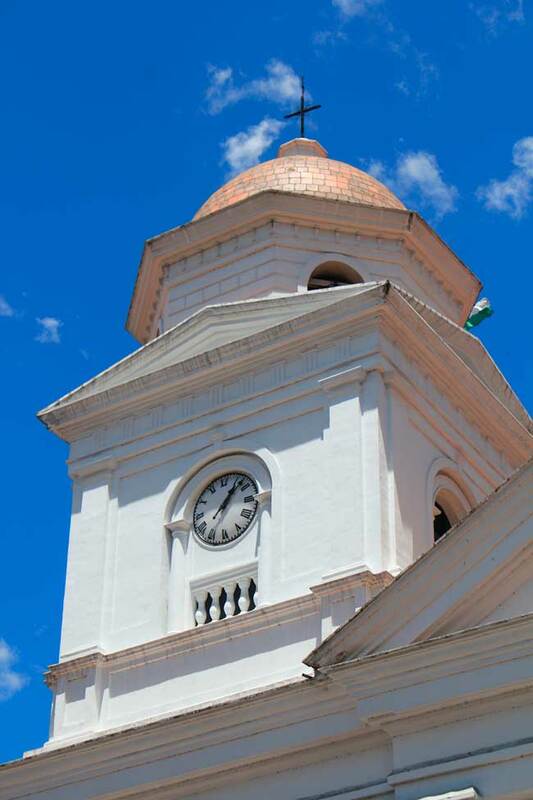 It has a privileged climate regarding other cities near the equator due to its elevation above sea level and its location in the Andes Range. Regarding landmarks, you shouldn’t miss the Metropolitan Cathedral, the Basilica of Our Lady of Candelaria and the Church of Nuestra Señora de Belén, all them located in the city center. About culture, in the region of Antioquia, and especially Medellín, coexist the Paisa Culture, which comes from the fellow countryman coffee growers. Some of the most important features of the Paisa Culture are the way they speak, softly and quickly, their easy smile and their love for music, soccer, poetry, bargaining in markets, and parties. 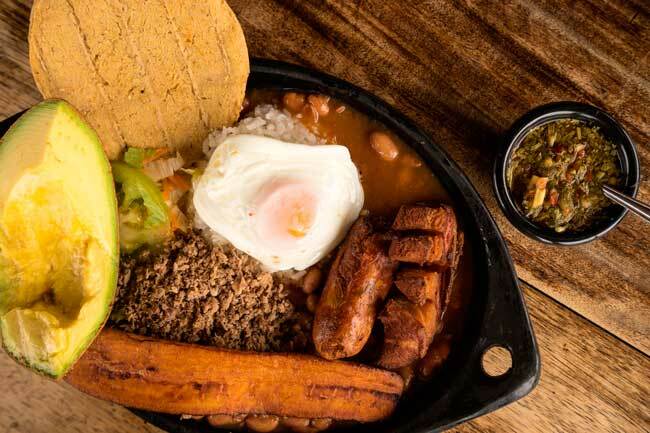 The typical dish is the Bandeja Paisa (Paisa Tray). One of the most interesting events in the city is the Festival of Flowers (Festival de las Flores in Spanish), which takes place in the city in late July to early August and features the Desfile of Silleteros, a vivid parade where the growers carry saddles filled with flowers on their backs.